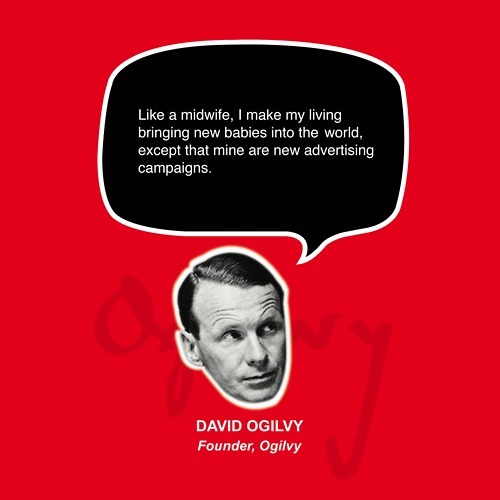 "Like a midwife, I make my living bringing new babies into the world, except that mine are new advertising campaigns." David Mackenzie Ogilvy, was an advertising executive. He has often been called "The Father of Advertising." In 1962, Time called him "the most sought-after wizard in today's advertising industry."